I really don’t remember when my taste buds were treated with the concoction of Golgappas. But, I still remember that I enjoyed the taste it spread. Aw…. It tasted yummy beyond words! My ammaji used to hold my hands tightly and we used to go for evening walks. 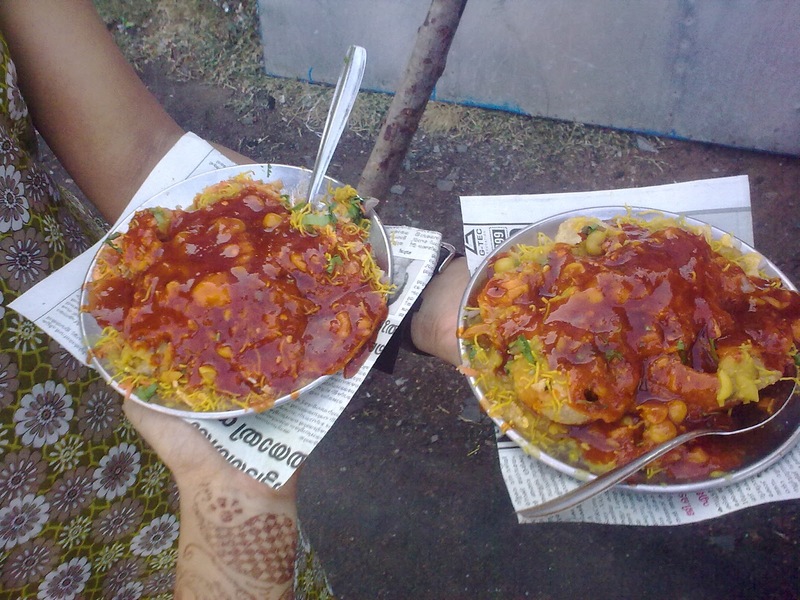 Then, she would get me a plate of bel puri from Rajajinagar 1st Block. They used to give a whole heap of it which I used to share with my ammaji. As my aunt started residing at Malleswaram Bangalore, my ammaji used to take me there occasionally. Then, we used to go to Malleswaram 8th Cross to taste the lip-smacking bel puri. Occasionally, I would eat Masala puri or Dhahi puri. But, pani-puri has been in my least favorite list. 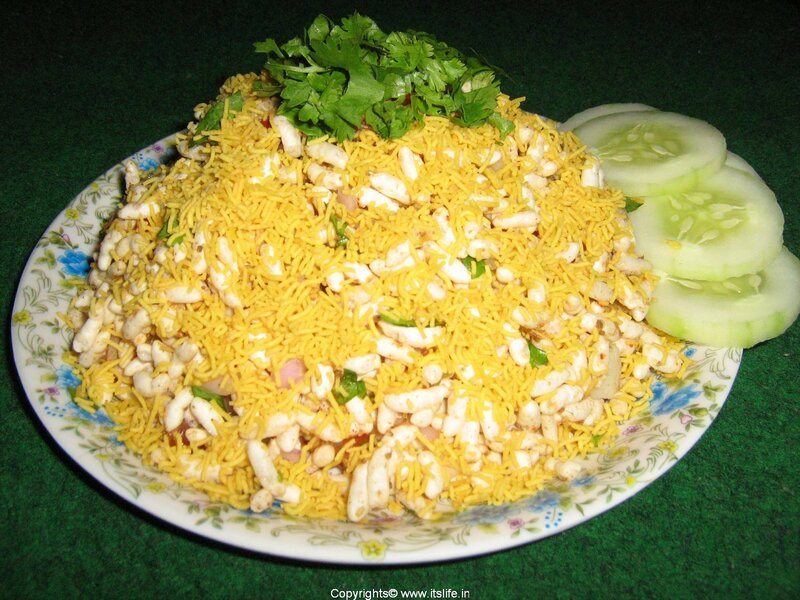 And, eventually, I fell in love with sev-puri. However, once we shifted from Bangalore, our evening rendezvous at the chat-shop came to a halt. But, the taste stayed green in my memories. As a practice, my ammaji would buy me a platter of bel-puri whenever we went to Bangalore for holidays. I always wished for a chat-shop in my neighborhood. But alas! The shops that offered them never neared the taste which I was so accustomed of. Years passed by. My single digit age became double digits and even crossed teens. But, my pining for the mouth-watering golgappas only multiplied. More so because our visits to Bangalore became less frequent. 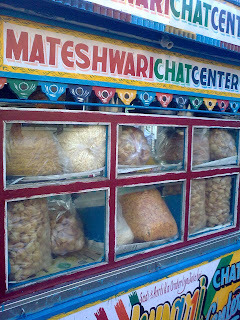 I was serving the last six months of my Articleship when we discovered a mobile chat shop very close to our office. I felt joyous and gushed to the shop. Oh! It tasted heaven. I felt nostalgic. It brought back the sweet memories of Bangalore; the days when I used to hold my ammaji’s hands with my short hair swaying in the wind. Thus, I became rather regular to that chat-shop. I came to know that they hail from Rajasthan. That further ignited the memories of my best friend – Sangeetha – a Rajasthani herself. It has been 14 years since seeing her. How I wish that Orkut, or Facebook or at least a mobile phone was in existence those days. I still remember how pink her face would look post Holi and how scrumptious her roti and dal would taste. 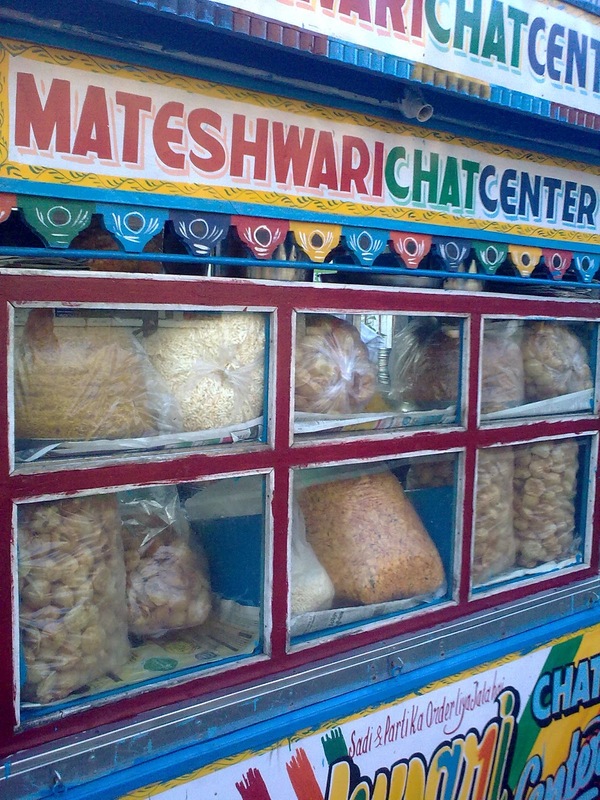 Thus, the Mateshwari mobile Chat Center has never once failed to bring back a stream of memories. I am going to miss that place badly amidst of so many other places in my home town. Yesterday, as I tasted the Golgappa, I became maudlin. This time memories of the bitter-sweet days of Articleship also started flooding. Ouch! Such criss-cross of reminiscences associated with a bhel puri, or sev puri for that matter. Unbelievable! But that is how we human are, aren’t we? And feel scared and insecure about the future. Well, I am no exception. If you agree with me, then, join the club!